Do you love meeting new kitties and their humans? Do you like to exchange gifts during the holiday season? If you can answer yes to these questions, you should participate in Secret Paws 2017. 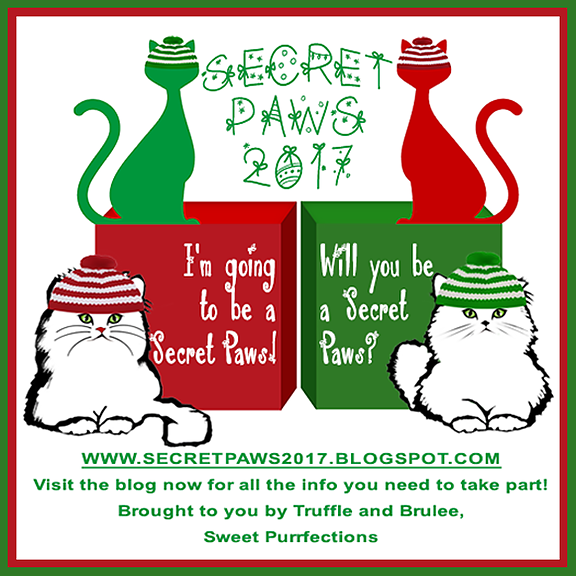 We've hosted Secret Paws since 2010 (when Sweet Praline was the host). That first year, there were 50 participants from around the world. Our largest number of participants was in 2014 with 64 participants from around the world. We've thoroughly enjoyed meeting all of our friends from around the world and love hosting Secret Paws. 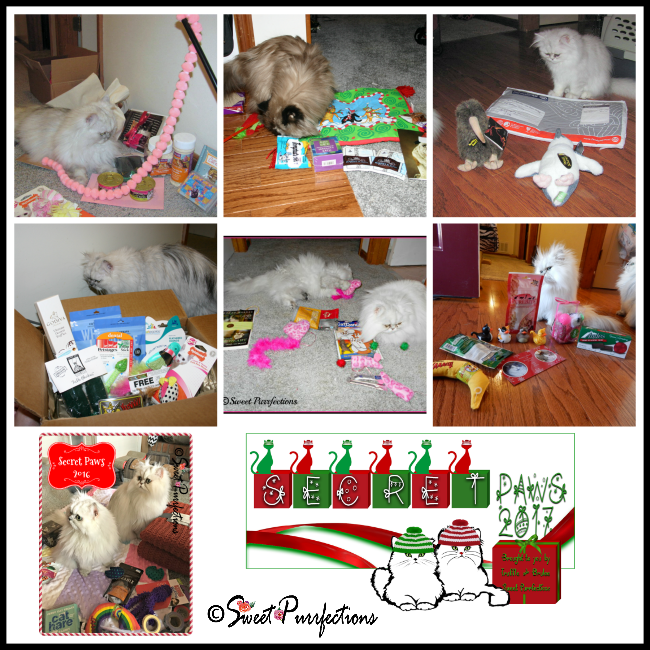 You can get more information about Secret Paws by visiting the webpage at http://secretpaws2017.blogspot.com. Secret Paws Through the Years Since 2010. We wouldn't miss out on this! I'm sending off an email in just a little while! I amember that the first year I lived here Miss Praline was our Secret Paw. I will have to bug mum as I know we haven't done this in a few years. We just sent an email!